Governor Yahaya Bello of Kogi State has been called upon to immediately halt the coronation of Chief Dele Owoniyi as the new Obaro of Kabba to avoid break down of law and order. In a press statement made available to newsmen in Lokoja Tuesday October 16 and signed by the heads of the three ruling houses of the Ilajo Royal family, it stated that the planned coronation and presentation of staff of office was a clear affront to the rule of law and a gross negation to natural justice as the case was still pending before a competent court of jurisdiction. The three heads of the ruling houses who jointly signed the press statement are: Chief Stephen Ojo Bebeyi, Chief Paul Toluhi and Chief Mark Olowosayo for the Ajibohokun, Ajinuhi and Mokelu ruling houses respectively . 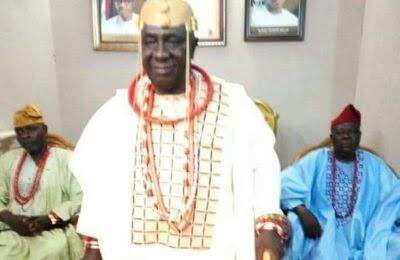 The statement said in as much as the ilajo Royal family has taken the announcement of Chief Owoniyi which it said was not from a royal family, the governor should not allow himself to be coerced into presenting the staff of office to him when the court has not made final pronouncement over the case. The statement recalled that shortly after the announcement of Owoniyi by the State Government as the Obaro, the Ilajo Royal family vehemently rejected the choice and made this known to the government which in turn turned a deaf ear to their grievance. The statement said at no time did the Ilajo Royal family withdrew from the pursuit of the case as being bandied around, stressing that the family was prepared to lawfully and peacefully pursue the case till logical conclusion. It further stressed that when the case came up for mention in court, it discovered a technical error which led to the withdrawal of the earlier motion by Counsels to the claimant which was subsequently substituted with a better and more comprehensive motion which has been served on all the concerned parties in the case now pending in court.